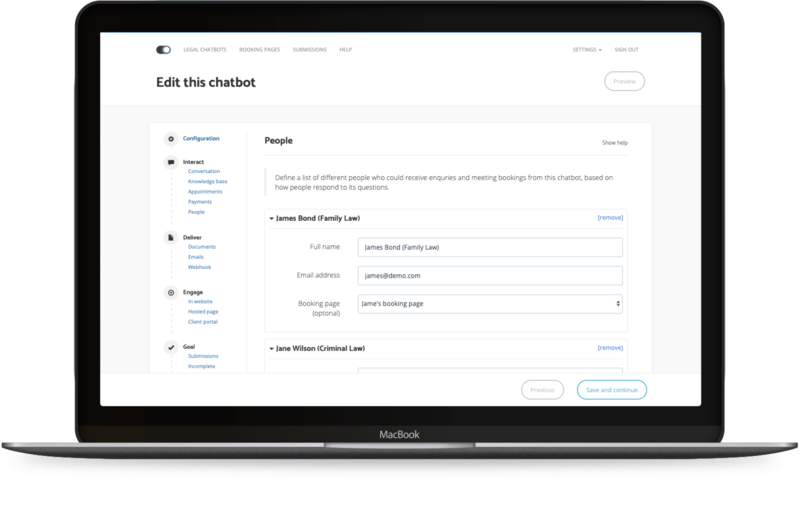 Make LawSwitch chatbots your online office manager. Accept payments for meetings and automated documents, and intelligently route enquiries & meeting bookings to the right person within your firm, all automatically. Turn your law firm into an online business by using your chatbot to process credit card transactions. 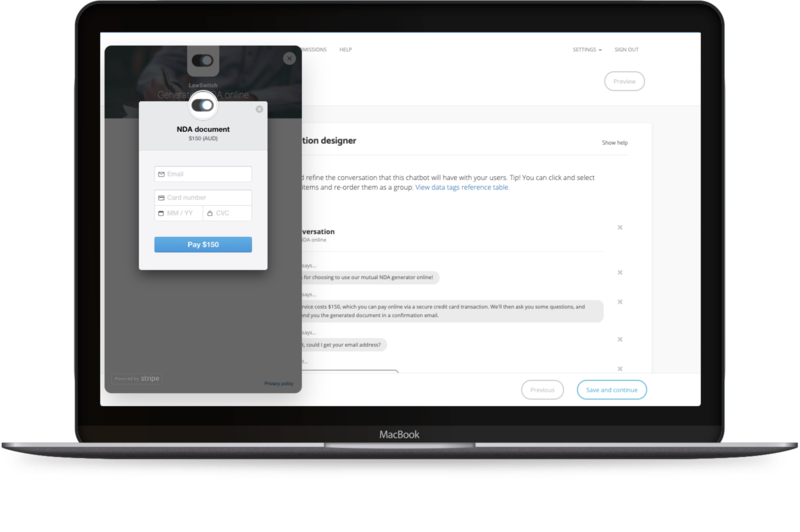 The credit card form is built into the chatbot's conversation, providing a single seamless experience. LawSwitch chatbots can route enquiries to the right person, display their availabilites, book in meetings, and process payments for meetings in advance - all within the single conversation straight from your homepage. Leverage LawSwitch's powerful document automation engine to generate personalised documents, and then accept the payment online prior to sending them through in an automated email, all within the one chatbot conversation. Make money from your documents 24/7. 3. Payments for your IP. Leverage LawSwitch's innovative payment flow within any conversation to enable your clients to pay for anything you can think of. Unlock your firm's IP and turn it into a steady income stream straight from your law firm's homepage. Works with the industry leader Stripe. We don't charge you transaction fees, so you make more. LawSwitch chabots can automatically route enquiries and display availabilities from the right person's calendar based on how people are responding to questions in your chatbot's conversation, using rules you determine. Take your firm to the next level by providing your clients with access to your services and support 24/7.